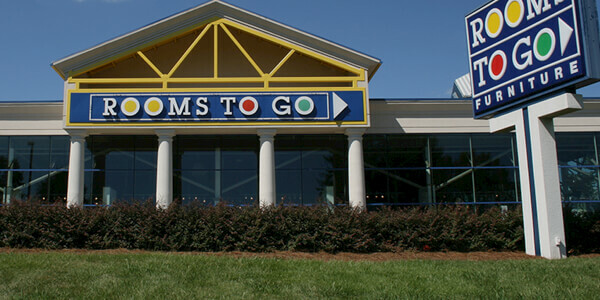 RoomsToGo opened its first set of doors in 1991. Since then, they’ve grown into America’s #1 independent furniture company with the nation’s largest furniture inventory. By offering stylish furniture at everyday low prices, original room packages, superior service and fast delivery, today RoomsToGo is America’s favorite place to buy furniture. RoomsToGo was seeking to improve its customer experience, and make their sales associates more efficient, by developing a mobile Silverlight touch-screen application on a slate or tablet device. Rooms To Go had a very tight timeline during which time the new application needed a to be designed developed and tested. Both a new UI as well as a tablet appropriate user experience (UX) had to be designed prior to development, and a hard deadline was in place driven by the need to demonstrate the system at Microsoft’s Worldwide Partner Conference (WPC) 2011. Additionally, the availability of slate hardware was at a premium, and much work had to be done with non-production hardware. Finally, the combination of required Silverlight for slate skills, design skills, and the need to collaborate with multiple groups (sales, development, Microsoft, etc.) made for an intense project effort. Microsoft, already familiar with the Wintellect brand, decided to outsource the development of the health monitoring and configuration management portion of the effort. Wintellect, a Microsoft Gold Certified Partner and Silverlight Alliance Partner, had the experience with Silverlight and mobile architectures and development to deliverthe product within the timeframe desired by Microsoft and Rooms To Go. The system was delivered on time and on budget. It was demoed on stage at Microsoft’s Worldwide Partner Conference (WPC), where it met with such success that Wintellect was awarded the Microsoft Slate Partner of the Year Award for 2011.